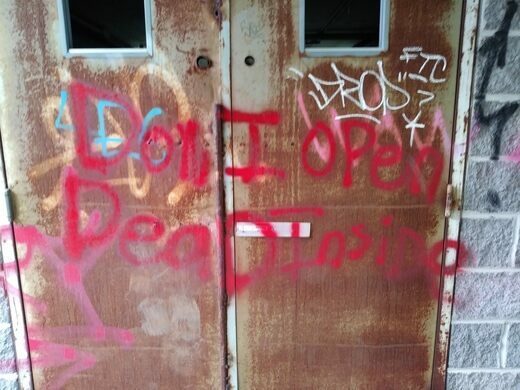 This mouldering abandoned mental hospital was once a center for progressive healing. 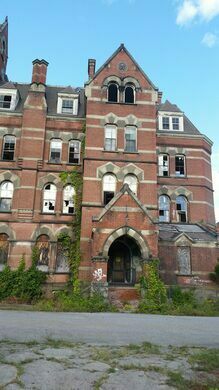 The hospital, located in Poughkeepsie, New York, is a former New York state psychiatric hospital that operated from 1871 until its closure in 2003. When it first opened, it was called the “Hudson River State Hospital for the Insane” and admitted only 40 patients despite on-going construction that would take another 25 years to complete. The expansive campus was build as a part of the Kirkbride Plan, which practiced a new method called “Moral Treatment,” pioneered by Thomas Story Kirkbride, with the help of activist Dorothea Dix. Before these methods, the mentally ill were typically thrown into county jails, cellars of private homes, or basements of public buildings and beaten into obedience. They were deemed social outcasts and lost causes. Dix helped encourage over 300 mental facilities to be built across the country to help house these patients, however, Kirbride still found the treatment and living situations unacceptable and sought to create a new way. His revolutionary method encouraged the building of massive structures, conceived as “ideal sanctuaries for the mentally ill” and play an active role in the patients’ recoveries. The entire campus was built with very careful attention to every detail of its design, to promote a healthy environment and convey a sense of respectable decorum. Everything had a purpose – down to the door knobs and air vents. The employees of each asylum were also instructed to keep close supervision of every patient, as it was believed to help promote self control. Patients were encouraged to exercise on the sprawling campuses and to eat a healthy diet, trying to help rehabilitate their lives so they could eventually re-enter society. Kirkbride also promoted new treatment methods. While they were miles above being locked in a cage, these methods included straight jackets, electroshock therapy, and lobotomies, all of which were later recognized as inhumane. As psychiatric treatments changed in the late 20th century (talk therapy, group therapy, and psychiatric medications started being introduced), the facility began to slowly close down, as larger hospitals were no longer needed. In addition, the growing population of the town and insufficient funding led to unfortunate conditions, which broke Kirkbride’s promise, thus finally closing and abandoning the campus in 2003 after it had fallen into a severe state of disrepair. The Hudson River campus is sprawling (160+ acres) and quite beautiful, designed by some of the country’s best architects at the time, including Calvert Vaux and Frederick Law Olmstead, the duo who created Central Park. It is located at the end of a narrow road, which dead ends at a church. The campus includes some of the original Kirkbride buildings, with portions of it burnt down in a fire in 2007, as well as newer facilities that were built as late as the 1970s. Like any mental facility, there are rumors of it being haunted. The area is also under close watch by security, so be careful if you choose to visit! Update: On April 27, 2018, an arson was reported at the facility. Local authorities believe the fire, which affected the wing of the old Main Administration building and extended into the Main Building, significantly damaged the structure. Due to the criminal nature of the investigation and the damage done to the structure, potential visitors should use extreme caution and avoid entering any buildings. The published coordinates are for the old and decrepit hospital you are after. Don't arrive at the new facility further east which will be on all the local signs. "A hideous albatross in the Hudson River Valley." This rustic think-space for famed naturalist John Burroughs stands exactly as he left it. An unassuming island in the middle of the Hudson that hosts campers, including Aleister Crowley. One of the largest-ever mental hospitals now sits abandoned, surrounded by 25,000 unmarked graves. 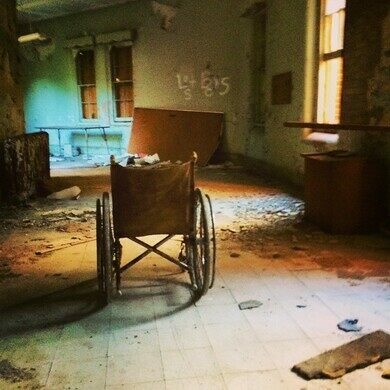 An abandoned tuberculosis hospital said to be haunted by the patients who died within its walls.